Google today announced the release of VirusTotal Uploader for OS X, allowing Mac users to upload suspicious files for scanning. You can download it now directly for OS X 10.8 and 10.9 from VirusTotal (8.52MB). For those who don’t know, VirusTotal Uploader for Windows is a popular tool for submitting suspicious files to the online scanning service VirusTotal. The process is as simple as right-clicking any file and selecting the relevant option from the context menu. 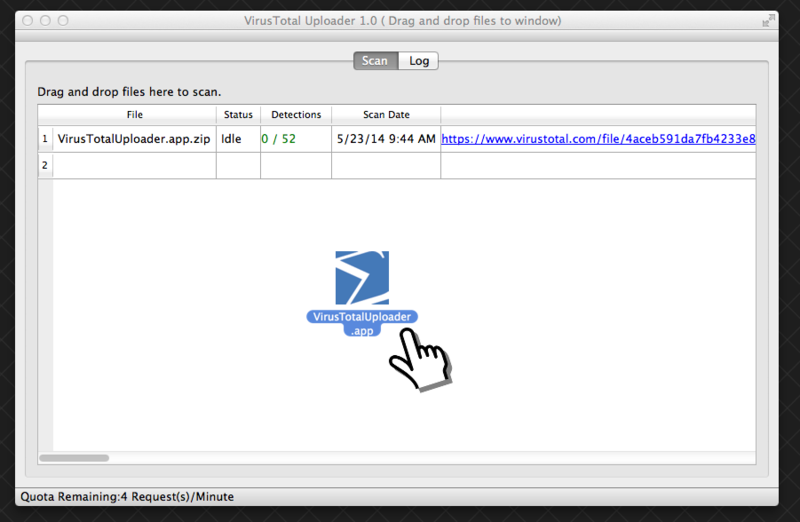 Allow you to “Open With” in finder the VirusTotal Uploader to scan a file. It’s no secret that OS X is a popular option amongst Google employees, and as the platform in general has become more popular, so has malware for it. While VirusTotal Uploader for OS X will be mainly useful for individuals and firms that are part of the security industry, all Mac users will likely reap the benefits in the form of better security software.